The police said that, prima facie, it seemed to be a case of suicide pact between the family members, who were feeling tortured and threatened by the daughter-in-law of the former Army doctor. The police have also recovered a syringe and vial of injection, allegedly containing a death-causing medicine. 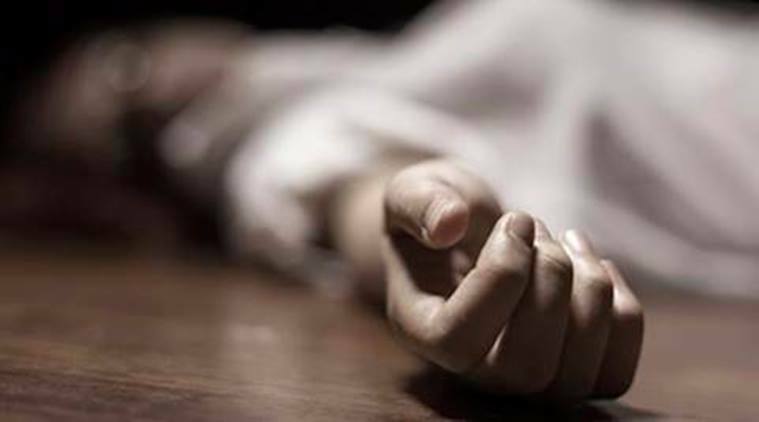 In a shocking incident, five persons of a family of a retired Army doctor were found dead at a relative’s flat in Kokar area on Sunday afternoon. The condition of the Army doctor, who also stabbed himself several times, was highly critical and he was admitted to Medica. The police said that chances of his survival were less. The police said that, prima facie, it seemed to be a case of suicide pact between the family members, who were feeling tortured and threatened by the daughter-in-law of the former Army doctor. His son and his wife were having troubled marriage and there was dispute over custody of their seven-year-old girl, one of the five victims. The retired Army doctor, identified as Dr Sukanto Sarkar, in his late 60s, was admitted to Medica Hospital. The police said that family was staying in a flat on 10th floor of Rivisera Apartment in Kokar area, which is owned by their relative, Dr S Chaudhary, a popular doctor in the city. They had come from Noida to Ranchi a couple of days ago. The incident came to light when Dr Chaudhary called up the family members around noon for a meeting, but nobody picked up the call. He reached the flat in the afternoon and opened the door using a duplicate key. Finding five bodies and Dr Sukanto still breathing, he informed the police. “Four bodies — that of Anjana, Momita and Samita and Sunita — were found on one bed in a room, while that of Sameer Sarkar was found on a bed box in another room. In the same room, there were blood stains on another bed box, where Dr Sukanto was found,” said a police officer, associated with the case. The police have recovered suicide notes — in the form of slips containing two to three lines, separately written by all the victims — purportedly written by all the five deceased and Dr Sukanto. “All of them have similar messages saying that the torture and mental harassment being faced by them had become too much to bear and, therefore, they had decided to end their lives,” said City Superintendent of Police Kaushal Kishore. The police have also recovered a syringe and vial of injection, allegedly containing a death-causing medicine. Also, a vial of anaesthesia has been recovered. Further, the police have also recovered a blood-stained knife from one of the bathrooms. This was apparently used by Dr Sukanto to seriously injure himself, the police said. “We have got the forensic team and the dog squad to visit the spot. However, prima facie, the scene of occurrence suggests that the victims were administered anaesthesia and then injected with lethal injection. Dr Sukanto then stabbed himself several times,” said Kishore. Preliminary investigations revealed that Dr Sukanto and the other family members had submitted a written complaint in Lower Bazar police station area. “It was not for registration of FIR, but in the nature of information and apprehension. They had written that false cases may be foisted over them,” said Kishore. Inquiries have revealed that Sameer and his wife wanted separation and there was also a fight over the custody of their daughter. “While Sameer and Dr Sukanto wanted the girl to stay with them, his wife insisted on having the custody of the daughter. The said daughter-in-law had been threatening to register cases of dowry harassment and other related sections against them,” said the SP. Further probe is on.